A urogram, formerly referred to as an intravenous pyleogram (IVP), is a diagnostic imaging procedure that uses x-rays combined with contrast agents, or dyes, to obtain images of the urinary tract – specifically, the kidneys, bladder and ureters, the tubes that connect the kidneys to the bladder. The contrast dye is injected into a blood vessel in your arm and travels through the bloodstream, collecting in the urinary tract and the kidneys so they can be seen more easily on an x-ray. A urogram is an effective way of assessing both the function and the structure of the bladder, ureters and kidneys. When is a urogram used? Urograms are also useful in monitoring how well a prescribed treatment is working and in assessing the kidneys and bladder following surgery. Before the procedure, you'll need to remove jewelry and other metal objects and you will usually be asked to change into a medical gown. During the exam, you'll lie flat on the x-ray table and a series of images will be taken without the contrast agent. Once those initial images are made, the contrast material will be injected into a vein in your arm. You may feel a slight sensation of warmth that will disappear after a few moments. As the material gathers in your kidneys and bladder, more x-rays will be taken. You'll need to lie very still to ensure the images are as clear as possible, and you may be asked to hold your breath at different times so the area can be seen more clearly by the x-ray machine. As the contrast agent is processed, additional x-rays will be taken to assess how well the kidneys are functioning and to look for signs of blockage. You may be asked to assume different positions during the exam, and in some cases, a special bandage may be placed around your belly to compress the area so clearer images can be taken. At the end of the procedure, you may be asked to urinate so images can be made of the empty bladder. The length of the procedure depends on how quickly the agent passes through your kidneys. In most cases, the urogram procedure will take about an hour to complete, but in some patients, it may be longer. A urogram can provide your doctor with critical information about your health so your care and treatment can be better managed. 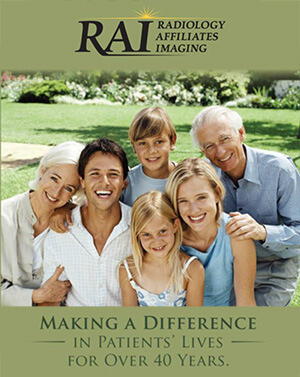 To learn more about the urogram procedure or to schedule an urogram, call RAI at 609-585-8800. The morning of your exam, administer a “Fleet’s” enema at 6:30am – follow directions on the package. Patients who have diabetes or renal disease require special care because the kidneys are involved in excretion of the contrast from the body. These patients should consult with their physicians about proper scheduling. If you are Diabetic: DO NOT take Metaglip, Glucophage, Glucovance, Avandamet (or any drug containing Metformin) the day of your exam.